TUSCALOOSA, Ala. (AP) — Tens of thousands of fans gathered to celebrate Alabama’s latest national championship, one that was especially hard to achieve. 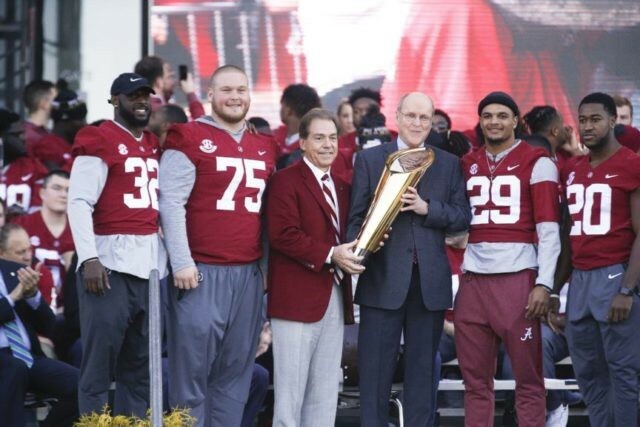 This Alabama team is losing a number of key seniors plus five juniors leaving for the NFL draft , including Fitzpatrick, defensive tackle Da’Ron Payne, wide receiver Calvin Ridley, tailback Bo Scarbrough and safety Ronnie Harrison. The senior class won a record 53 games over four seasons against just five losses.